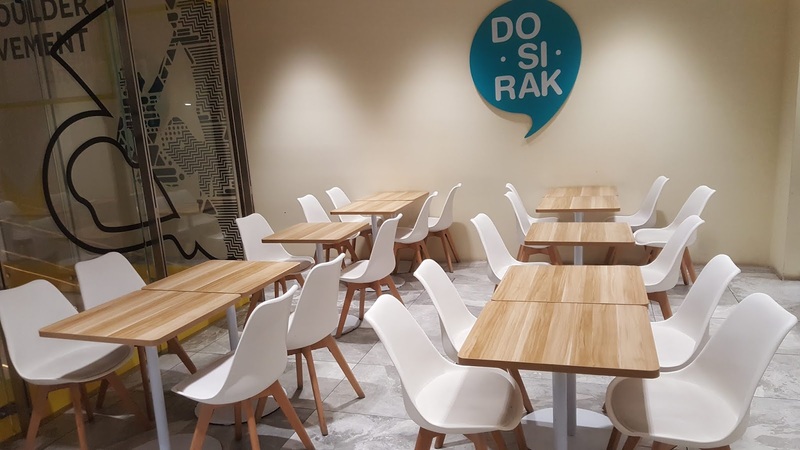 Dosirak (도시락) is the crystallization of Chinese-Korean entrepreneur Edward Chia's tiny ambition of introducing low calorie yet delectable takeway Korean fare in fuss-free holders. 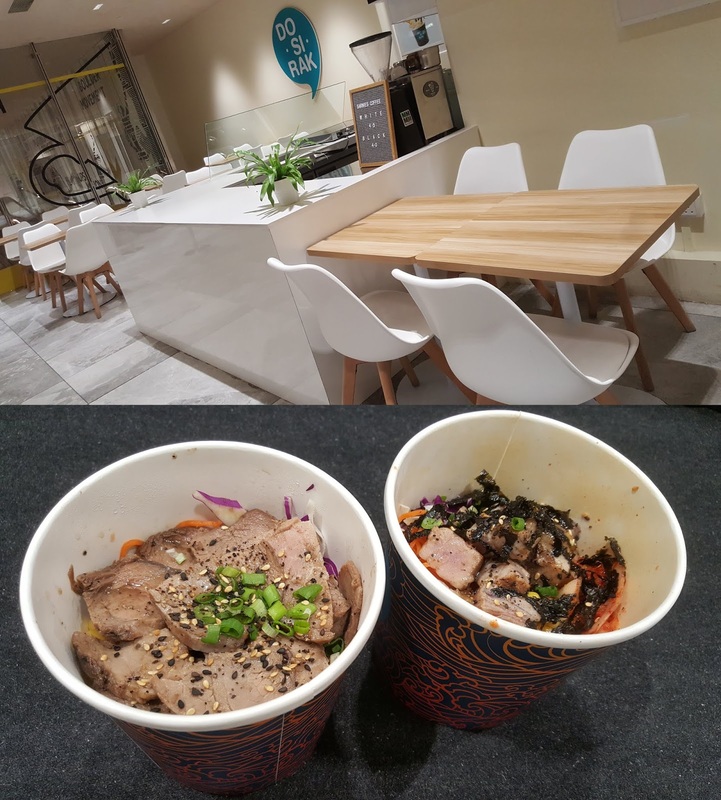 Evidently boyo here is dead serious about offering healthy grub, as one certified nutritionist was even sought in the process to consult on ingredients, preparation methods and taste outcomes surrounding a reinvention of the traditional bibimbap. Consequently lean cuts of meat are sous-vide in 63°C water baths, use of MSG is dropped altogether while unrefined brown sugar and Asian pear food extract take centre stage insofar as flavour enhancers are concerned. 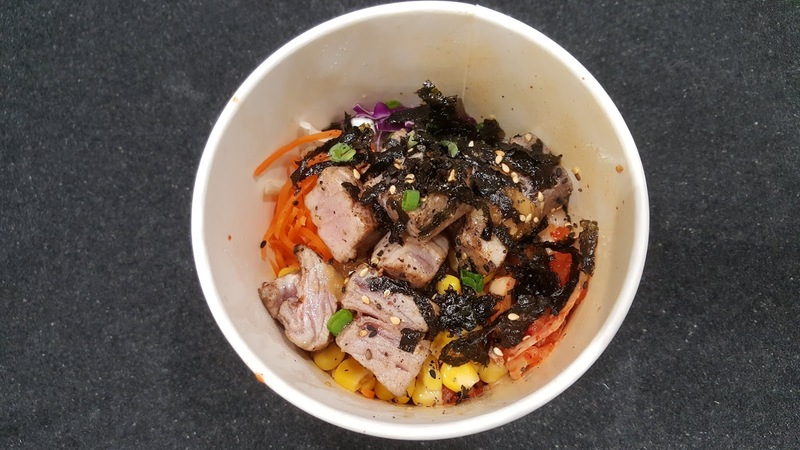 Each customer gets to customize his/her order by choosing from various bases (including brown rice, buckwheat noodles and cauliflower rice), mains (including beef bulgogi, avocado sweet potato, tuna, salmon and tofu) and sides (including corn, chickpeas, beansprouts, kimchi and pickled cucumber). Further add a preferred sauce, seal the tub and shake things up well........you are pretty much ready to tuck in. 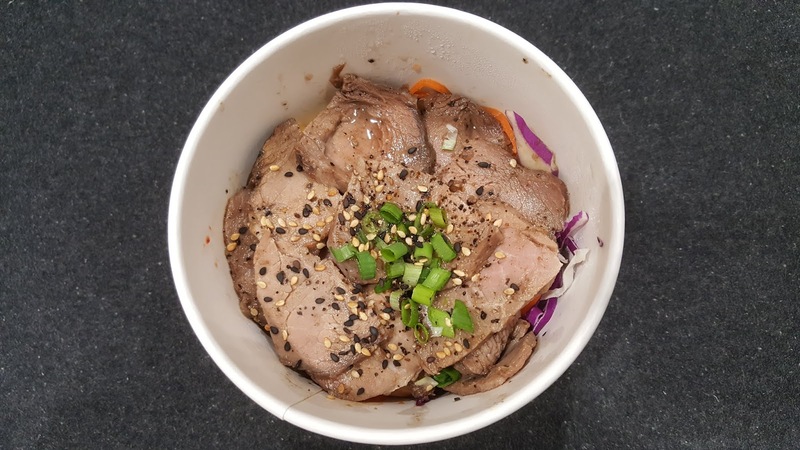 The beef bulgogi appeared outright irresistible at first glance: thick marinated chunks aesthetically arrayed with a sprinkle of chopped green onions on top. 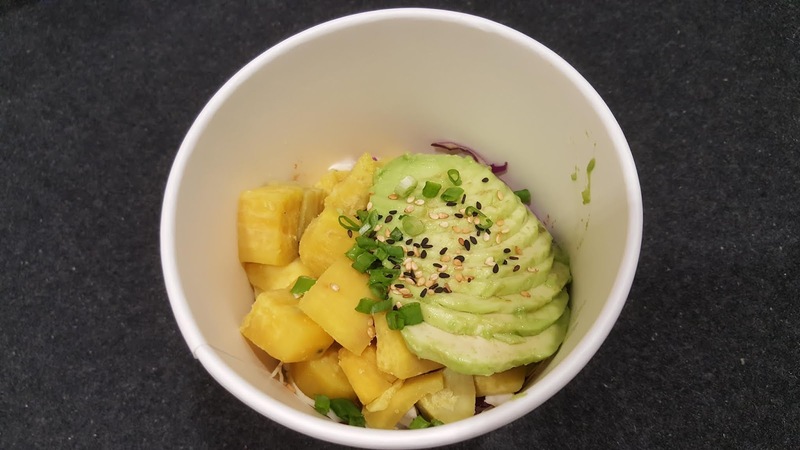 Pretty looks aside, we were in tender territory tastewise; jasmine brown rice as our choice of base added a sensible textural contrast straddling nutty and earthy. The seared tuna (sizzled gentle brown on the edges by a blow torch) yielded soul-stirring sweetness which paired surprisingly well with cold buckwheat noodles, thus vanquishing previous traumatic memories of choking on cheap canned varieties featuring the same fish carved up in nasty, near unpalatable blocks. 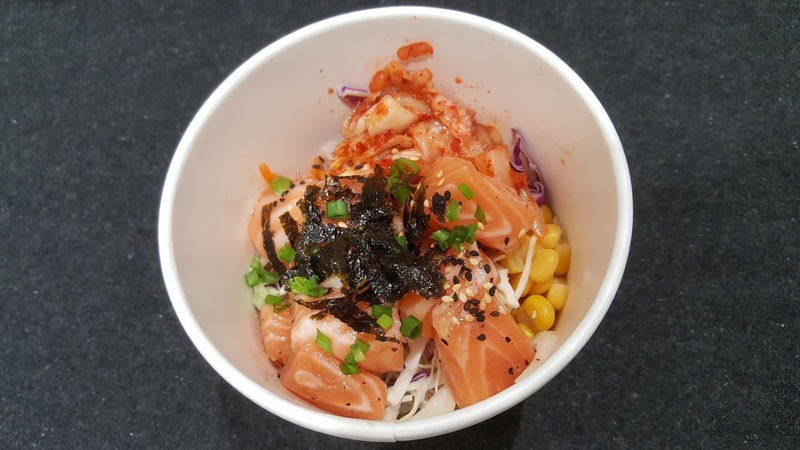 The cured salmon cubes in all their fatty, subtly seasoned glory also turned out to be a mouth melting slam dunk, while the accompanying five grain rice added both fluff and depth to an already lip-smacking bento mix. Then again it wouldn't hurt to have a little more of everything, especially the kimchi which was da bomb. Note: Prices subject to change without prior notice. Kindly clarify with outlet before visiting or ordering. Copyright © All Rights Reserved. 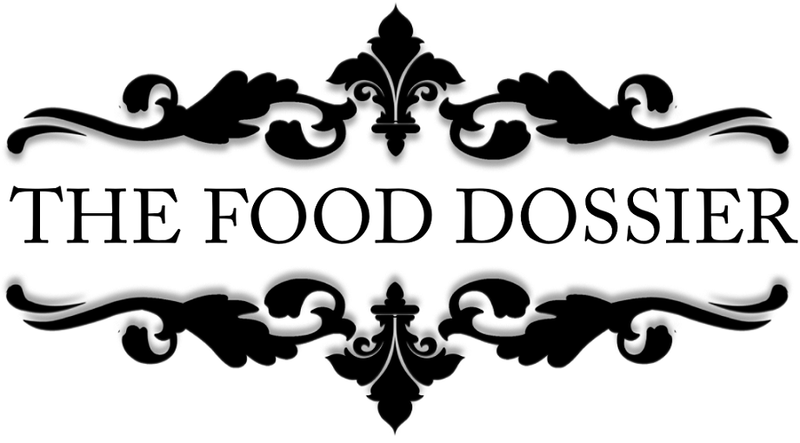 Photographs and write-ups featured on this page represent the original works of The Food Dossier unless stated otherwise. No copying or reproduction is permitted without seeking prior explicit consent.